Hey everybody! We’ve got all new shirts with an all new design. A design we are confident will appeal to everyone. It doesn’t matter if you are a brain trapped in the body of a game show hostess, an aspiring kickboxer who doesn’t want to sell anything bought or processed or buy anything sold or processed, or if you are just hanging out in the parking lot of the Gas & Sip, this shirt is for you. If you have absolutely no idea what any of that means, it’s okay. I’ll explain. It all started in 1989 when a young Cameron Crowe directed John Cusack and Ione Horovitz in a coming-of-age teen dramedy called “Say Anything.” We first meet our protagonist, the off-center but lovable Lloyd Dobler as he … Oh, just go watch the trailer and meet me back here. I’ll wait. Cost is $20 per shirt plus $3 more for shipping. 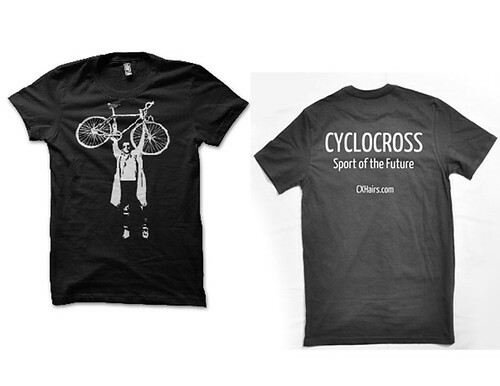 If you are interested, you can PayPal a gift or donation to CXHairs@gmail.com. Just make sure to put your shipping address and the shirt size(s) in the comment box. If you want more than one shirt, shipping is still only $3. PRICE DROP: And don’t forget we still have socks, too! 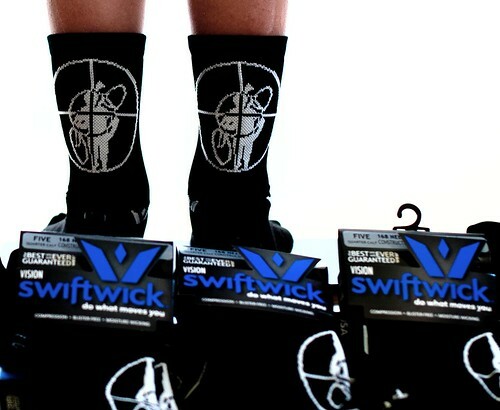 Super cool 5″ cuff SwiftWick socks with the classic Public-Enemy inspired CXHairs logo on the back. Socks are $15 per pair $10 per pair!! Throw a pair in with your shirt order. Shipping will still be just $3. ONLY SMALL AND XL REMAIN. 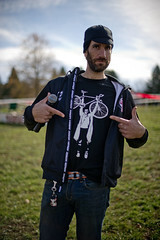 Pretty stoked with this year’s gear and hope you will be too. Thanks for reading and see you at the races.